According to the classification of breeds of chicken prepared by Gh. A. Stefanescu, the Transylvanian Naked Neck is classified into the European group, Romanian subgroup near production breeds of average weight and good egg production. According to the literature from other countries, this breed is very common under various names. In Italy it is known as the “Sorrentina dal Collo Nudo” or “Razza di Silesia” and it is classified between ornamental breeds. In France is known as “cou-nu”, In England as “Baldnecked fowl of Transylvania”, in the Netherlands as “Naakhalzen” in Germany as “Siebengurgen nackhalse”, etc. Clarifications about the origin and the formation of this breed found in the work of Bernard Boack “Siebenbürgen, die Heimat des Nackthalshuhnes” (Transylvanian naked neck hen homeland). B.Noack quotes that from a book dating from 1701, picturing a yard in Transylvania , among the birds presented a Gât golaș hen and a rooster can be seen. The author concludes that even before 1700 there were specimens of this breed in Transylvania. The opinion of a known breeder and judge from Bistrita Nasaud is that this breed should be known in ancient times. In support of this idea comes the information that according to the beliefs of the Jewish Orthodox religion eating meat from naked neck chickens is forbidden. Since this religious restriction comes from the ancient times he concludes that this breed is also ancient. During the first international exhibition held in Vienna In 1875 two poultry breeders, V.Szeremlei and V.Hohenburg exhibited for the first time poultry of this breed. After this the breed was also presented at the universal exhibition of Paris in 1878 and of London in 1900. We can consider that naked necked Transylvania chickens were subject to selection in order to further purify the exterior characteristics. The breed’s production characteristics around 1875 could be compared with the most valuable after sought races. 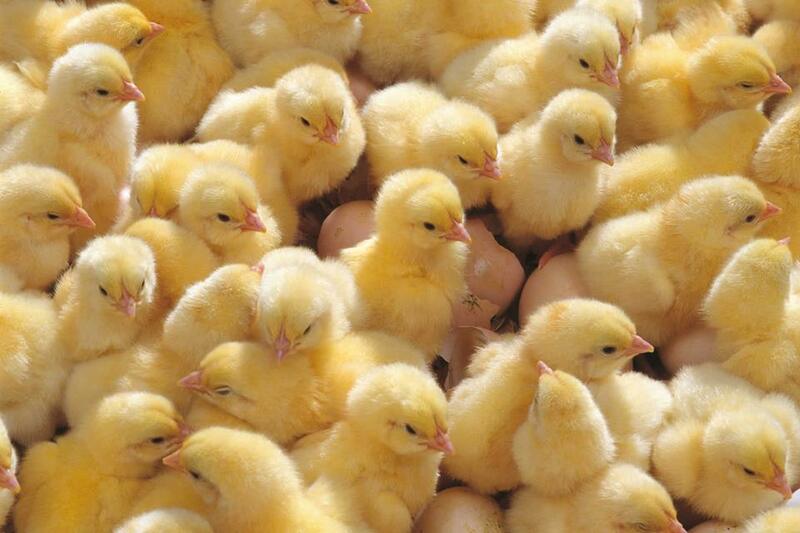 Breeder V.Szeremlei stated that annual production capacity wes 160 to 200 eggs per head per year. At the same time another specialist states that “these chickens produce 180-190 eggs weighing 75-80 gr and that these eggs are rather oblong than round”. Since the husbandry conditions that the poultry of this breed were kept were rather modest shows us that the productive qualities are superior to other races which lately have been given much greater attention. During the Vienna Exhibition, Farmers wondered how this race was formed, and falsely came to the conclusion that they were outcome of a cross breeding between a chicken and a turkey. This is not true. The characteristic naked neck appearance is due to a genetic mutation; a specific gene was found “guilty” Subsequently science has proved that a molecule inhibits the growth of feathers and the skin of the neck. Despite its highly unusual appearance, the breed is not particularly known as an exhibition bird, and is a dual-purpose utility chicken. The hens lay a respectable number of light brown eggs, and are considered desirable for meat production because they need less plucking and they have a meaty body. They are very good foragers and are immune to most diseases. The breed is also reasonably cold hardy despite its lack of feathers. Naked Neck roosters carry a single comb and although the skin is white, the neck and head often become very bright red from increased sun exposure. This breed has approximately half the feathers of other chickens, making it resistant to hot weather and easier to pluck. The breed is resistant to low winter temperatures, without the need for special feed thus it is very well adapted to the free range conditions. These birds begin to lay eggs at 7-8 months of age and produce 120 to 170 eggs per year weighing between 65 and 75 grams each. Below are 2 videos presenting the breed. Next Next post: Formaldehyde Fumigation. When and How.